How do artists define ‘a commission’? There are many definitions for the word commission, both noun and verb. Here we mean, ‘to give an order for, or authorize the production of a work of art’. Why do I love painting commissions? Commissions stretch me to paint subjects beyond my comfort zone, and each painting is inspired by your story, which in turn inspires my work. I love traveling and setting up my easel on-location. These painting trips have taken me to beautiful parts of the world, revealing treasures nearby, or those reached only by a long journey. 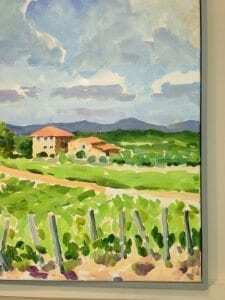 For example, in 2013, I began several new works in Italy and two were commissioned paintings. Do you have a great idea for a painting? I’d love to talk with you! STEP 1. Let’s begin with a conversation. I want to get to know you and what makes you happy. 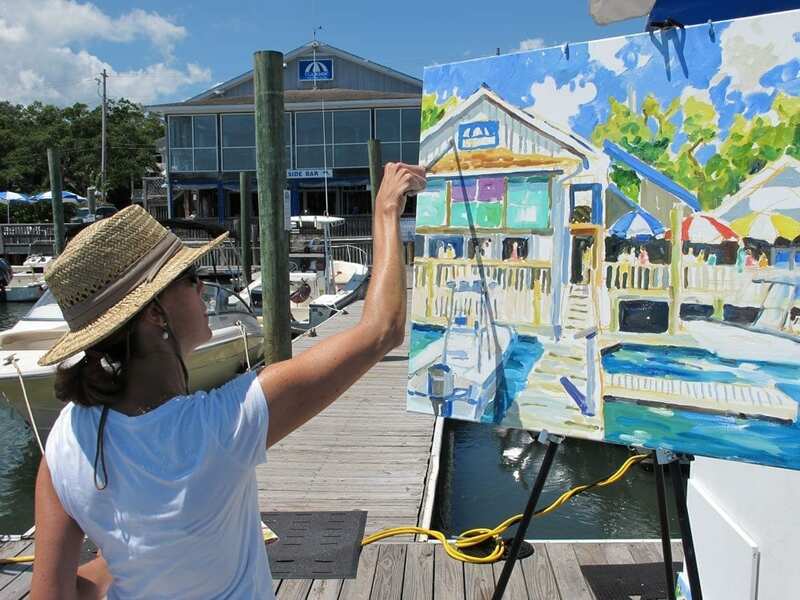 Follow this with a discussion of your painting idea, including the location, time-of-day, canvas size, colors, timeframe, and any other important details. STEP 2. I make it a practice to begin my paintings on-location, beginning with sketches and photos in case of rain. 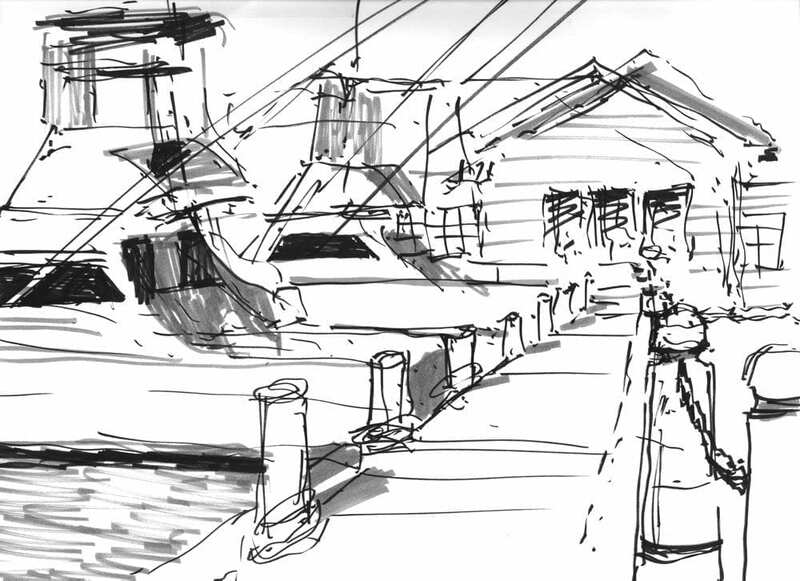 Sometimes I’ll ask you to approve a black and white sketch before painting, and sometimes not. This depends on you, the subject matter, location and timeframe. STEP 3. While your painting is in progress at my studio, you are invited to stop by and take a look! Your comments and feedback are especially important to me as I add the finishing touches. 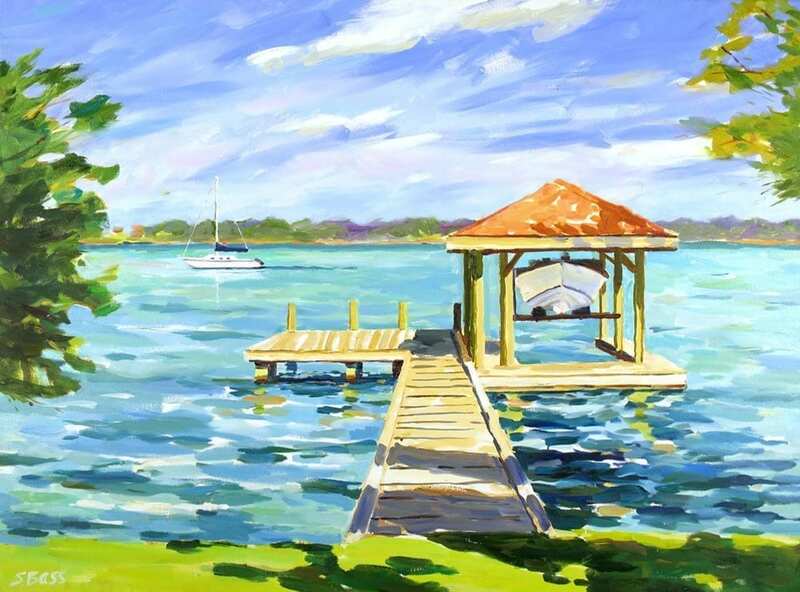 Payment information: A deposit is required on all commissions, with the balance due upon delivery of your completed painting. 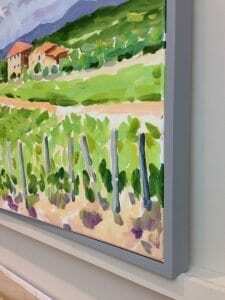 The painting price includes my standard gray presentation frame shown above. 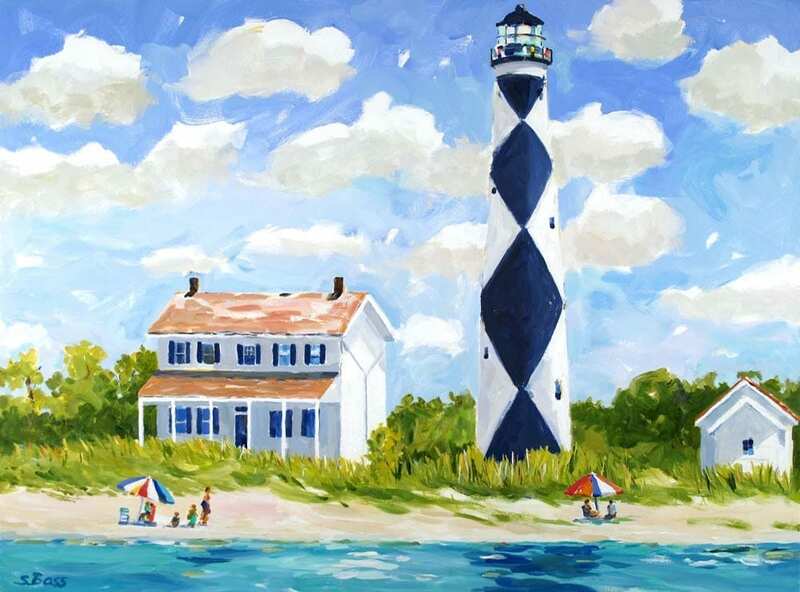 Cape Lookout Lighthouse, 30 x 40 in. 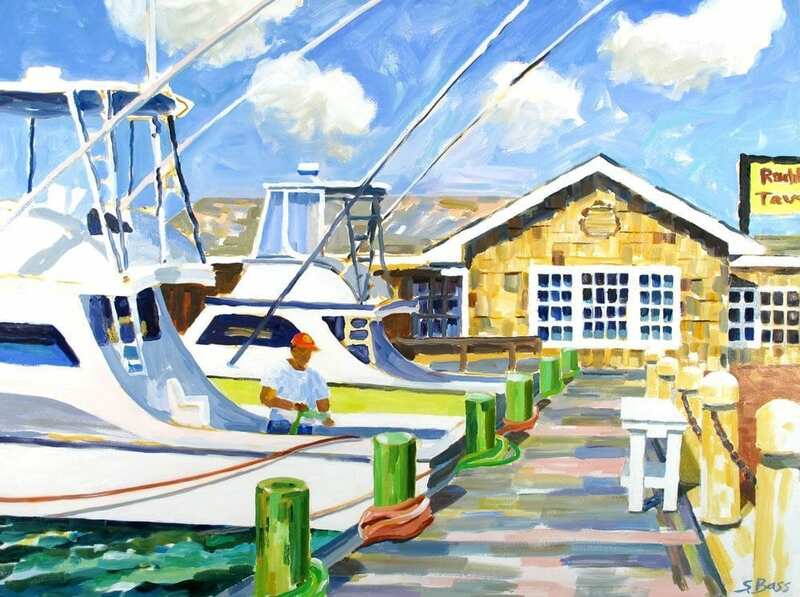 Blackbeards Point, Bath, NC, 30 x 40 in. 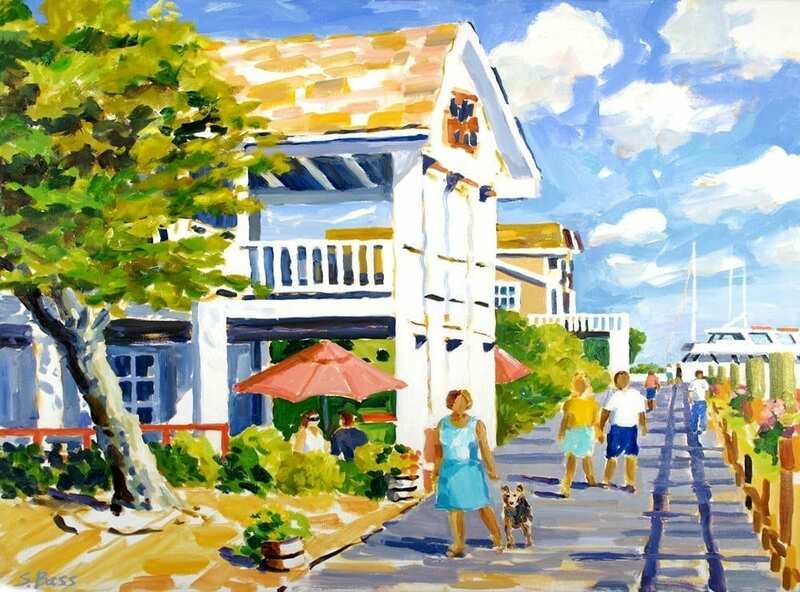 The Beaufort Boardwalk, 30 x 40 in. 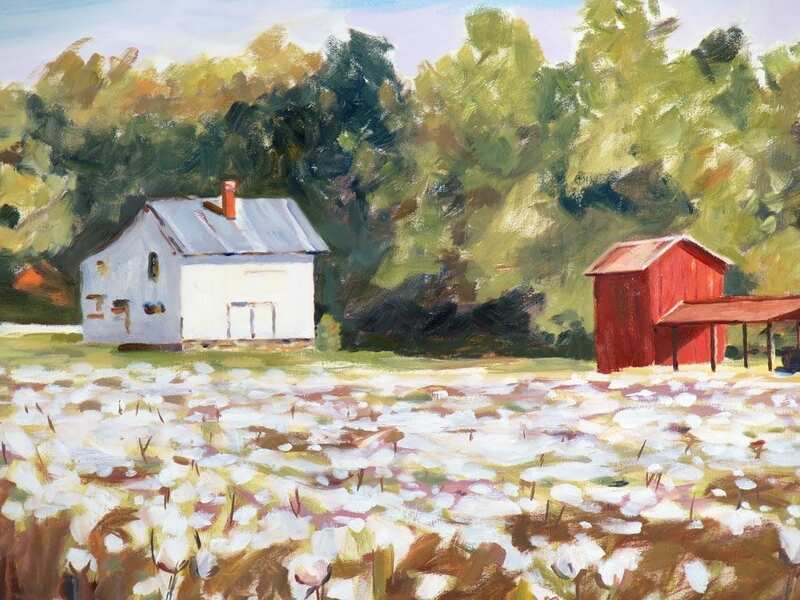 Old Farm Road & Cotton, 30 x 48 in. 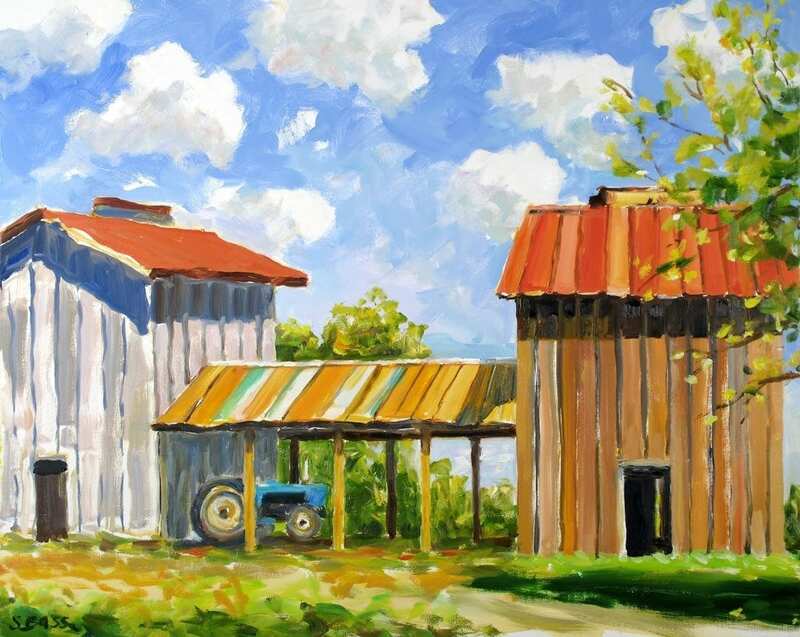 Tobacco Barns & Tractor, 30 x 40 in. 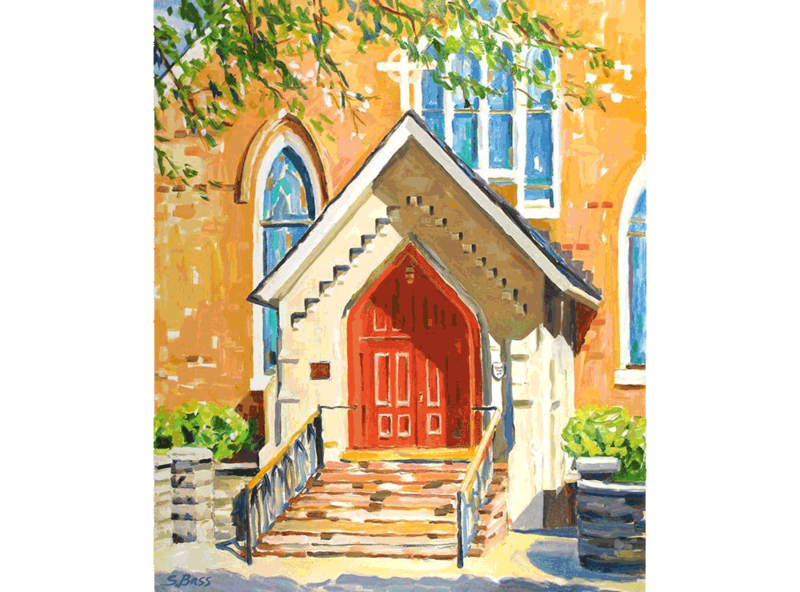 St. Peters, Washington, NC, 30 x 40 in. 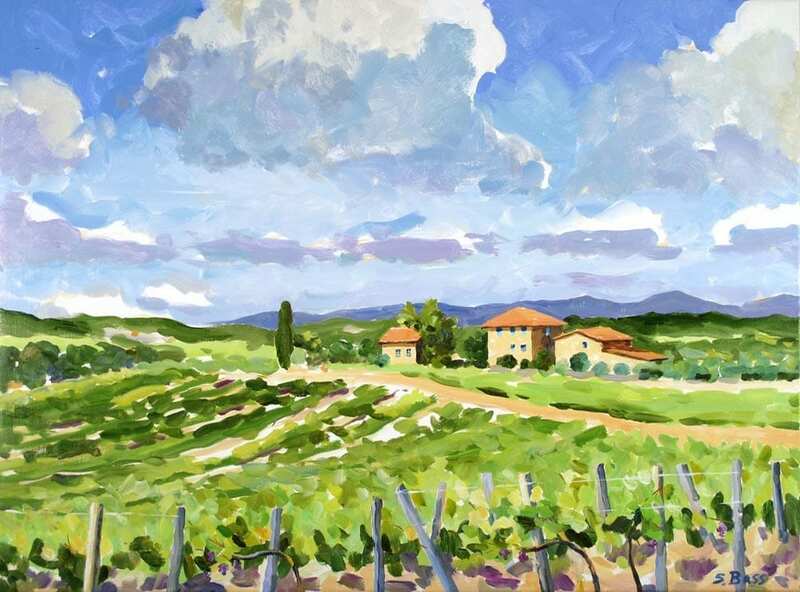 Vineyards in Siena, 30 x 40 in. 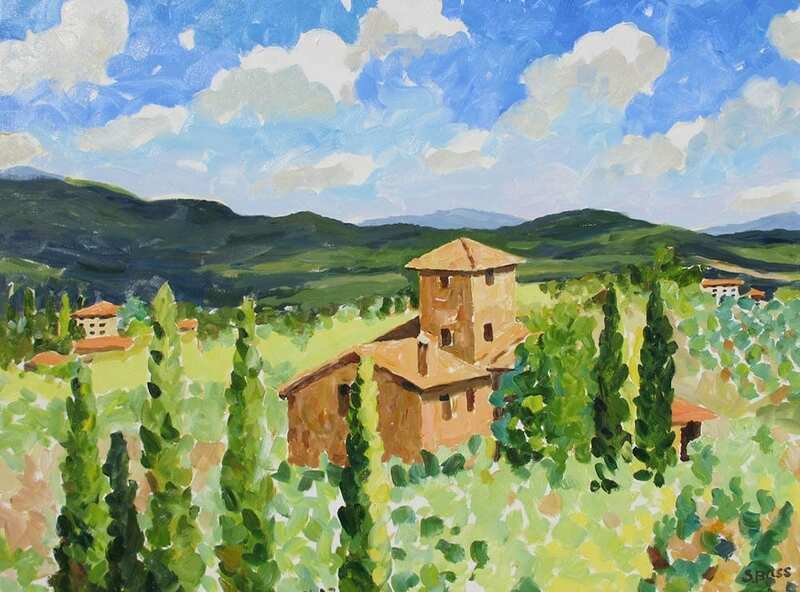 View From Villa Scacciapensieri, Siena, Italy, 30 x 40 in. 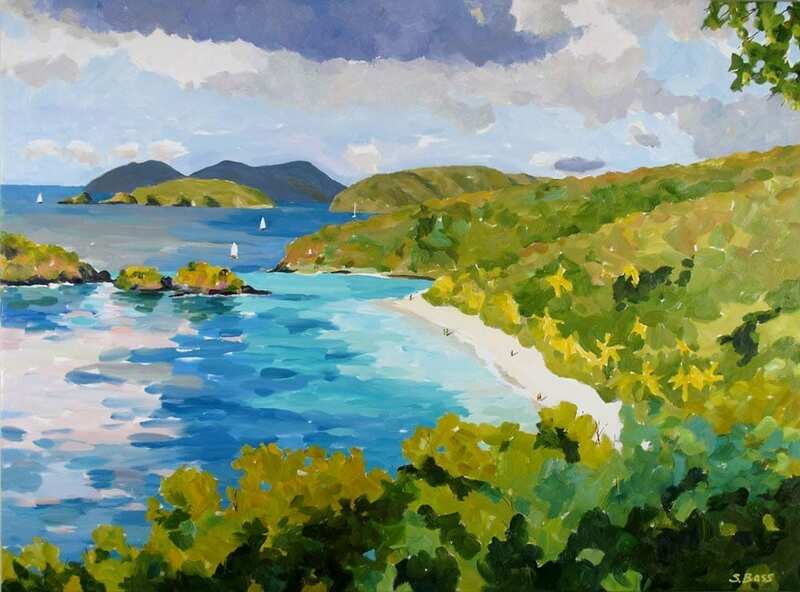 Trunk Bay, St. John, USVI, 36 x 48 in.